We are De Pere's neighborhood all-suite hotel offering distinctive service and outstanding accommodations. Our hotel is part of Choice Hotels Ascend Collection, a network of upscale unique, boutique or historic hotels. We're the ''2014 Hotel of the Year'' for the Ascend Hotel Collection, and most recently we were awarded the "Ring of Honor" hospitality award winning hotel for 2018 & 2019. - Platinum Award winning hotel with Choice Hotels - 2006-2019. 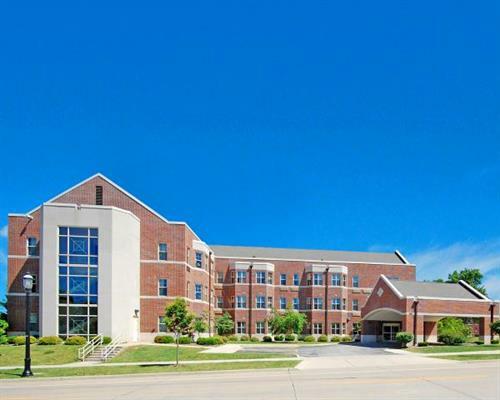 - Convenient downtown location in historic De Pere, WI on the scenic St. Norbert College campus. - Adjacent to many downtown restaurants & bars, shopping and area night life. - Our rooms are cozy and comfortable with spacious accommodations. - Within minutes of all the area attractions, including: Green Bay Packers - Lambeau Field, Oneida Casino, Heritage Hil, Bay Beach Amusement Park, Fox River Trail, NEW Zoo, Wildlife Sanctuary, and many more. - Whether it's for business or pleasure, the Kress Inn is the perfect retreat for today's traveler. - Three diamond property with AAA, and Rated Excellent on TripAdvisor. - Come experience our hospitality and make Kress Inn your home away from home! Adjacent to the Bemis Conference Center - Perfect for Meetings, Receptions, Weddings and much more! From U.S. Highway 41: Exit at Main Avenue (#163) in De Pere. Take Main St to 4th St, turn right, go one block to Grant St., turn left and go one block to hotel on left.